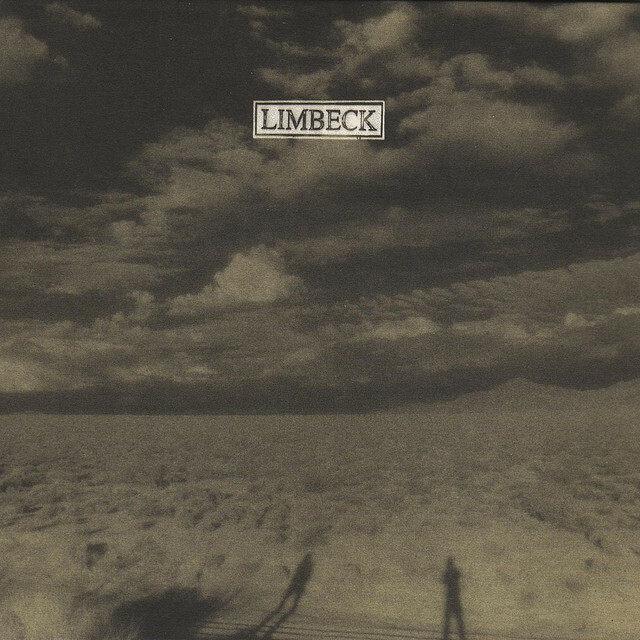 Those seeking understanding in the music of Limbeck need to look no further than the words that delicately fall out from the CD’s pastoral packaging. Yes, the words that sprawl through the unending vistas of America’s back porch amuse with casual observations of small towns, highways, passing cars and those sleepless nights spent under the pull of the moon. These words that so delicately describe a seemingly infinite road trip highlight Limbeck’s fascination with life on the move; be it their own traveling (“It was a long quiet drive / Yeah, we took it last night, over the Colorado river / A sleep stop in nowhere with switchblades and potted plants”, in “Comin’ from Tuscon”) or a friend’s (“We were supposed to have a black and white Spring, do you remember that? / You’re probably packing some things to bring / Toss the boxes in the back”, in “I Wrote This Down”), they snake charmingly down the dusty roads of alt-country-pop with that wide-eyed suburban touch. And they do so without much fuss; straightforward and at their very best, reveling in the joy of being – enthralled by sightseeing and interpreting the experiences in the most human way possible. The ardent simplicity of the music is a fitting tribute to the sense of wandering, almost ambling by it seems. Canvassed by soft guitar strumming that sways between electric and acoustic and textured by the often mid-paced percussion work, Hi, Everything’s Great is a brew of sweeping pop rock doused heavily by country’s laid back twang. 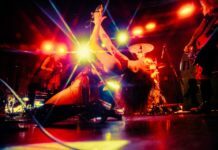 It was a philosophy taken by the band upon recording that their sound would resist modern technology’s calculated presence, and instead rely on the genuine echo that resides in more practical vibes. Cowbells, lap steel guitars, banjos and organs are all part of this rural adaptation; from the wistful acoustic breeze of “In Ohio On Some Steps” to the foot-tapping makeup of “Honk + Wave”, this deliberate reliance on more earthy sounds and idyllic pop views comes together in perfect unison. 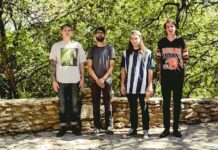 A far cry from their early day juggling of the pop punk aesthetic that saw them squeeze their round peg into a square hole. The band is more than a sound however; the mini postcards-as-lyric-sheets are adorned with the photographical work of members Robb Maclean and Patrick Carrie. They capture the sentiments felt in the music – moments trapped in time that have forever been isolated by the camera. Desert roads, sidewalks, practice spaces, lakes, mountains and the snow covered streets are passport stamps of their journey; visual companions for this traveled sound. 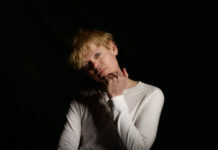 It is an indication that they are not too bothered by creating compositions of grandeur – unlike the aching works of say, a Ryan Adams, Limbeck are simple, uncomplicated and unflustered by their craft, calling upon similarities to former Doghouse giants Chamberlain; resulting in a brisk, untroubled, road-tested collection of uniquely suburban country-tinged sounds that treads lightly on wholehearted passion and stapled memories. It however, signifies their greatest weakness; their fondness for minimalism leaves them perched on the lower rungs of their ilk and would see them struggle greatly to please those looking for far less picturesque offerings. Nonetheless, an epic road trip calls for many of music’s accompaniment – certain occasions, circumstances and geographical co-ordinates require suitable audio supplement. California’s sweeping coastal landscape may call upon Brian Wilson to provide the soundtrack while the Orleans of New hark jazz’s greatest madmen, but for all the times in between where the air is a sifting cool and the sun is the blanket of warmth, maybe all you’ll need is a little bit of ‘everything great’.